Enjoying a central location, the Bristol Hotel Thessaloniki offers easy access to Thessaloniki's main tourist attractions. 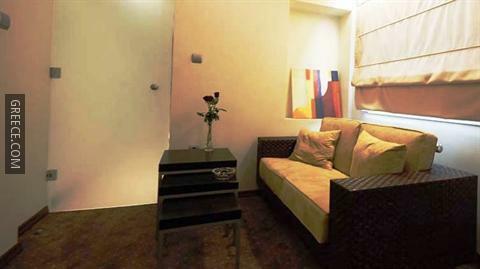 The hotel is located in Downtown Thessaloniki, offering a variety of bars and eateries at your doorstep. The Bristol Hotel has a number of facilities including free bicycle rental, an express check-in and check-out feature and family rooms. The hotel employees are available 24-hours a day and can help with booking tours and tickets. It offers city views and 5-star rooms. Rooms at the Bristol Hotel Thessaloniki are large and extremely spacious, and offer a flat-screen TV, a mini bar and slippers. All rooms feature a private bathroom including a bathrobe and amenities. Guests can indulge in a drink at the hotel's unique bar, after sampling a meal in the restaurant. The hotel's comfortable restaurant serves breakfast. Thessaloniki's attractions, including Aristotelous Square, the Museum for the Macedonian Struggle and Thessaloniki Olympic Museum, are easily accessible on foot from the Bristol Hotel. The neighbourhood is well-known for its shopping.